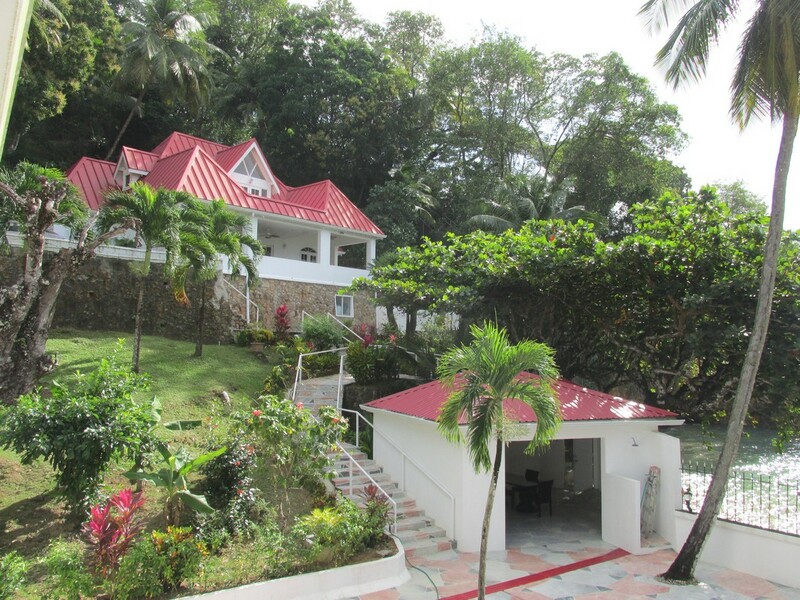 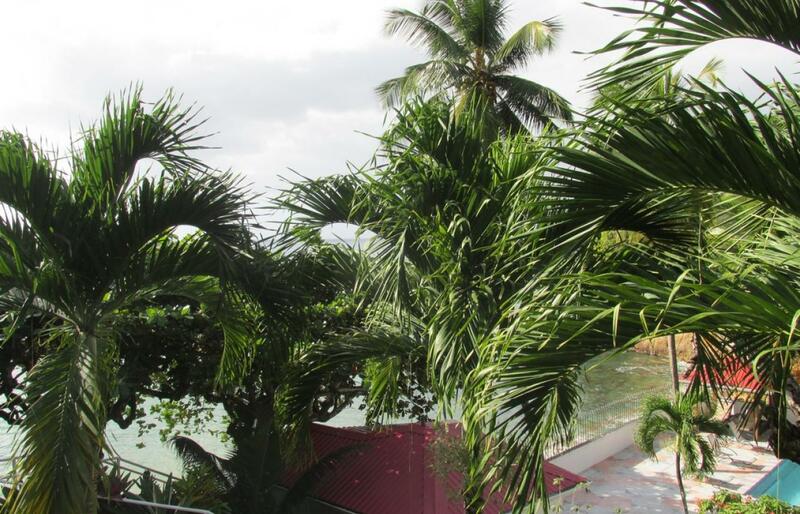 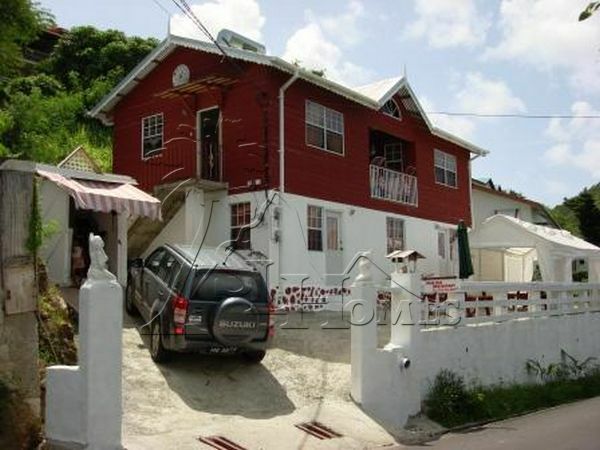 Shingle Cove is located South of Castries on the West Coast of St Lucia The Single Cove Villas are accessible by road, off the Millenium Highway, or could be accessed by sea. 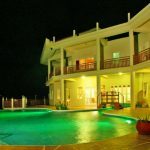 If you are looking for something different in a secluded cove with glorious sunsets this property is well worth considering. 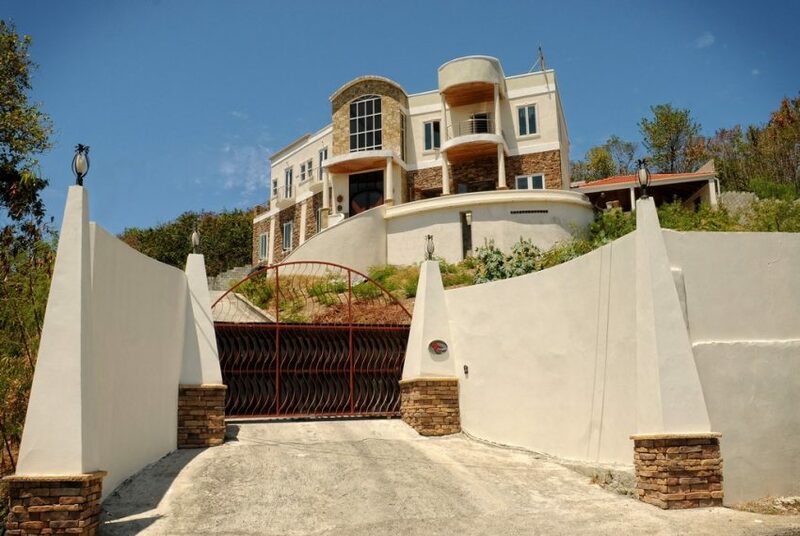 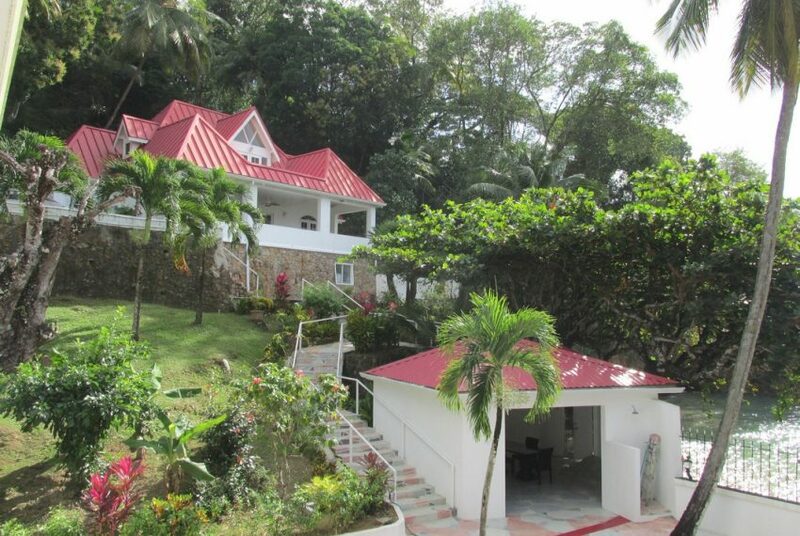 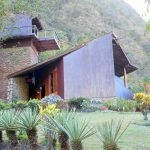 This, private, three villa property is set is over two acres of fully fenced lush hillside gardens. 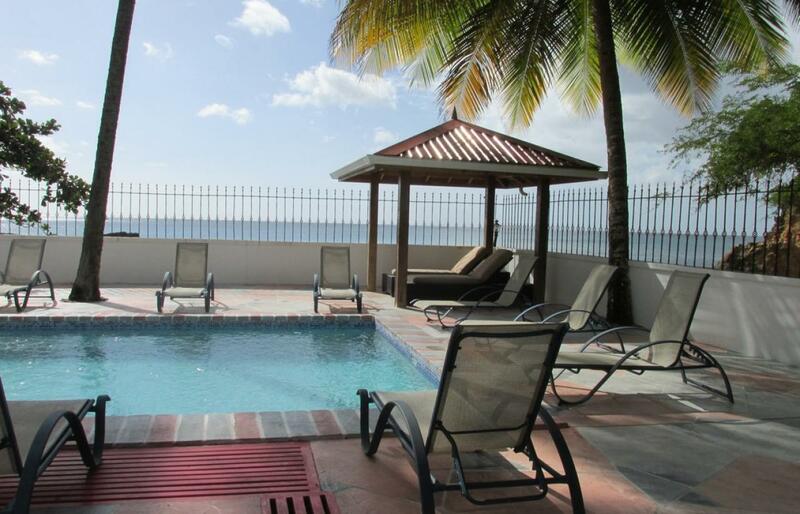 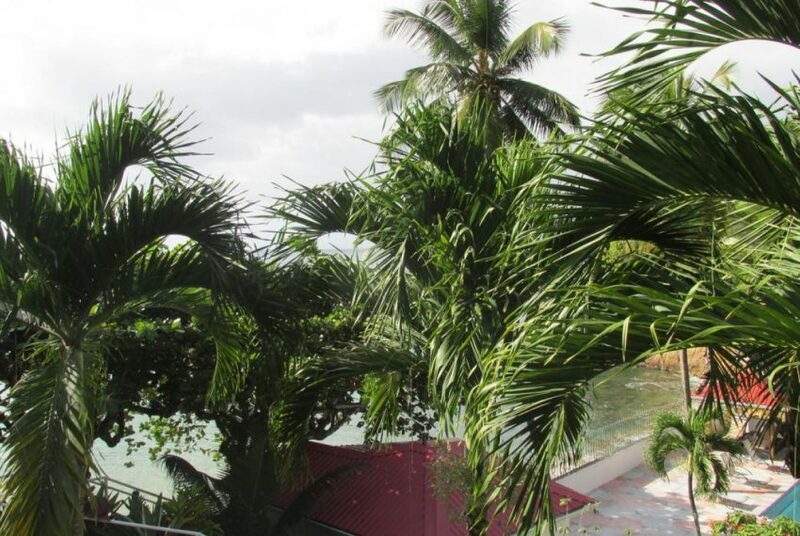 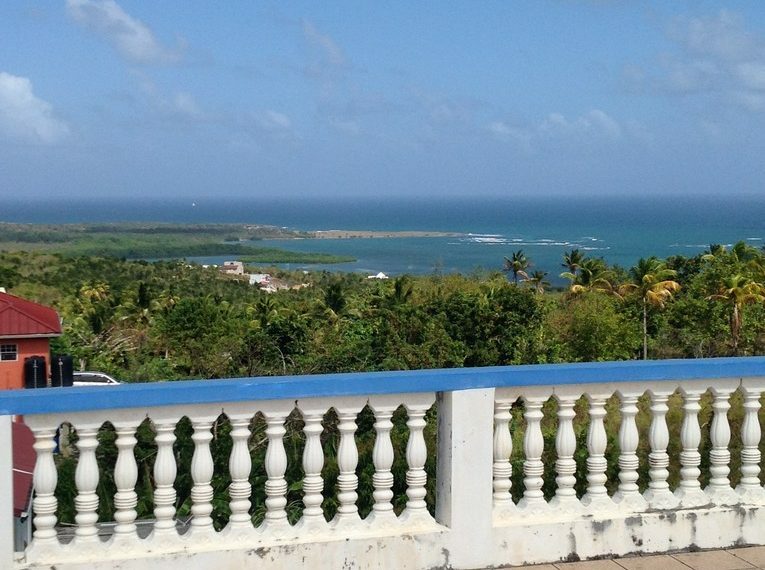 The property has sea frontage and could be accessed by sea, by installation of a mooring dock. 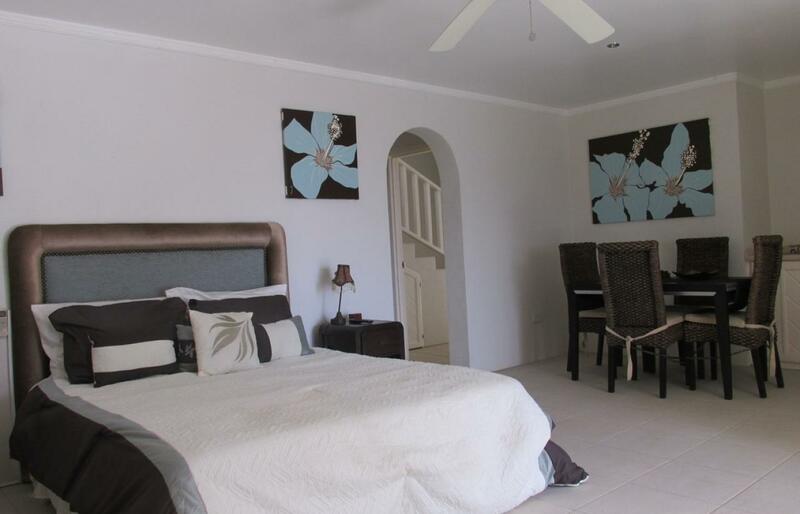 Shingle Cove is made up of three Villas. 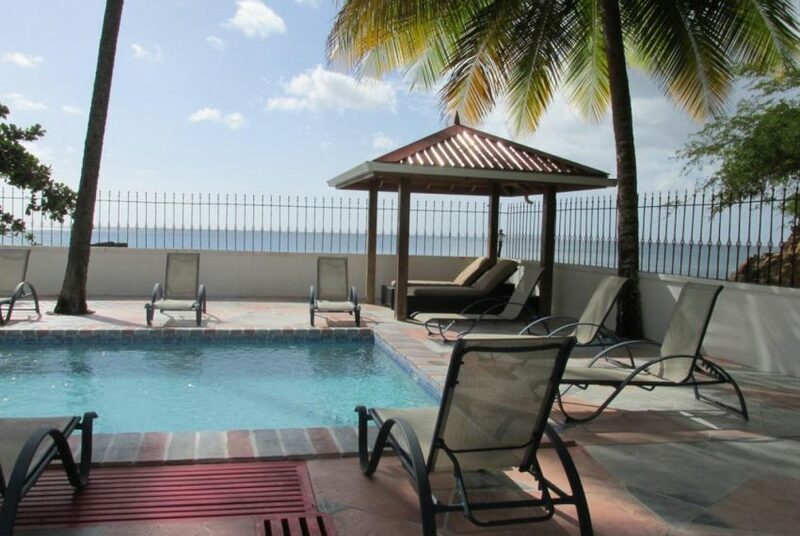 The main house is set on a raised area with a large balcony overlooking the pool and with views out to sea. 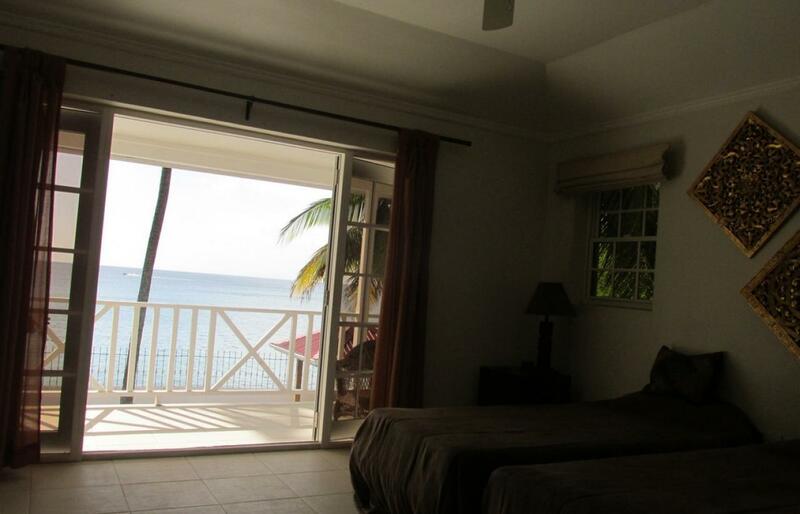 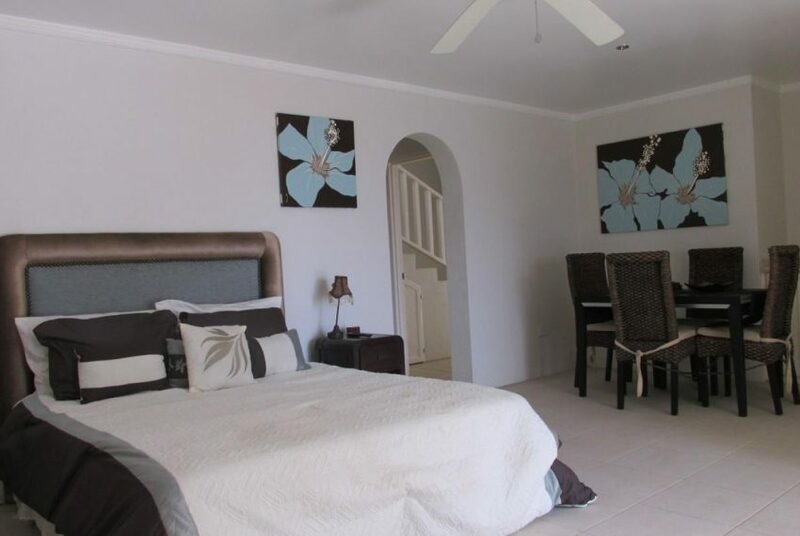 This Villa has two ensuite bedrooms , living area and kitchen The Beach house is directly behind the pool and deck area and has a self-contained ground floor suite and two ensuite bedrooms on the first floor. 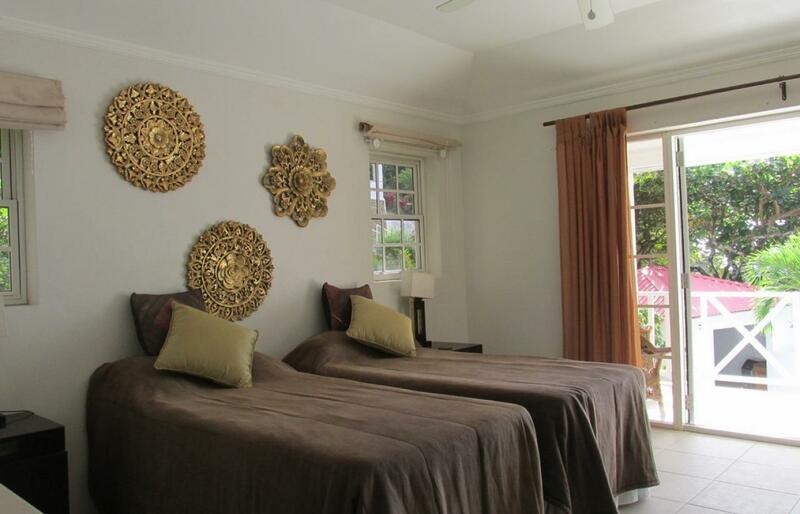 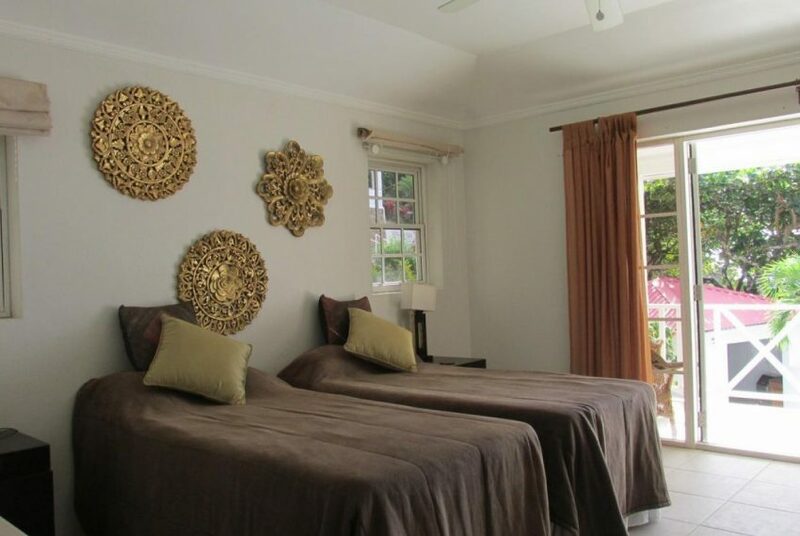 Near the gated entrance is a one bedroom cottage which can be used as an additional guest suite or staff accommodation. Shingle Cove can be used as a private residence or for vacation rentals .